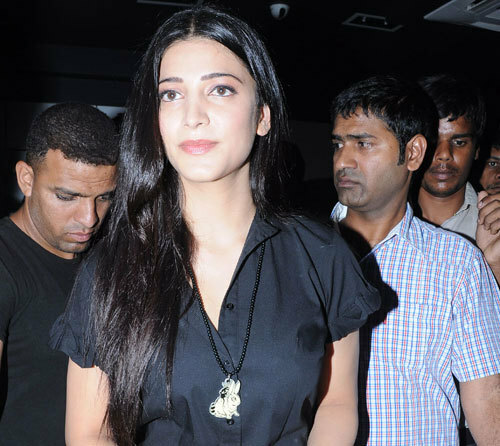 Shruti K Hassan is the daughter of the very famous South Indian and Bollywood superstar, Kamal Hassan. Born on 28th January, 1986 to Kamal Hassan and Sarika Thakur in Chennai, her education and career took off in South India, much ahead of her foray into Bollywood. Not everyone is aware of the fact that she is not only an eminent actor but also a great singer, very hardworking and committed towards whatever she does. She debuted in Bollywood with the movie Hey Ram, directed by Kamal Hassan, which is a movie based on Mahatma Gandhi’s murder plot. Later in Indian Cinema, she played various characters in movies like Dil Toh Baccha Hai Ji, Luck, Ramaiya Vastavaiya etc. Bollywood is waiting to see more from her in the upcoming years. Another interesting side of Shruti not known to most of us is that she is a great singer and trained professionally too. She sang in South Indian movies at the age of 6 and has also given her voice to Bollywood numbers. Her first playback was for the movie Chachi 420 and later for movies like Luck, Hey Ram and others. ‘Papa’s darling daughter’ can be the perfect tagline for this picture. Kamal Hassan can see the way his daughter is moving smartly and carefully towards fulfilling her dreams in Indian Cinema. For now, her main target is to build a strong base by making no hasty moves in choosing her movies. Yes, she is completely in love with herself and confident in whatever she does. Even without make up and a very carefree and comfortable hair-do, she looks beautiful in this printed maxi. Style for her is more about comfort as is clearly seen in this picture. She loves working and can be spotted in very stylish clothes on the sets. Though mostly seen as simple and sober, nobody can say that she is not sporty or experimental. At a store launch event, Shruti was spotted in what you can say is her favorite and all-time comfort clothes. She finds comfort in nothing when compared to well-fitted denims and a t-shirt. Makeup is never a must for her. She is completely in love with her body. In this picture you can see her flaunting her perfectly toned body and looking very confident. With a very simple blow dried hairstyle, the elegance and grace are magnified. Sridevi is Shruti’s all-time favorite actress and she is famous for the stylish sarees she wears. Here you can see this diva in a very glamorous avatar, in a saree. And as we said before, with no makeup on she looks as glam as with very minimal touch up. Here again, we get a reflection of style with comfort as we see Shruti in her favorite clothing. All hues seem to suit her flawless skin and her overall look is never boring. At a radio station for the purpose of film promotion, a smile is all this diva is wearing on her face. The look is very innocent just like her. 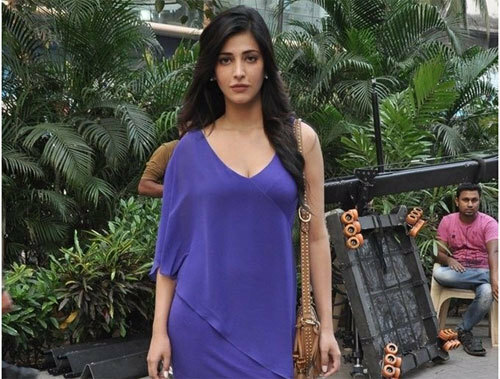 Shruti posed for the camera wearing this bright colored dress whose cut beautifully enhances the look. Her choice of bag and footwear reflects her taste. It shows how the overall look created can be pleasing and not shrill. 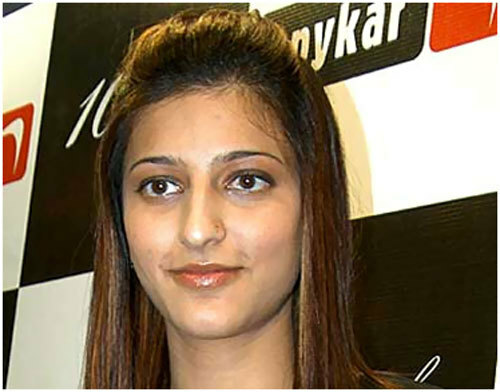 Spotted at a media event wearing no make-up, Shruti looks fabulous with a very simple hairdo. She has really beautiful features that highlight her beauty. Which of her looks did you like the most? Leave us a comment below.